Even New AFM Tips are Not as Clean as You Think! Atomic probe microscopy (AFM) tips are supposed to be chemically inert and should not interfere with measurements. But a new study by a team in the US has found that’s not quite true. Tips stored in standard packaging with gels are contaminated with silicone oils, which then seep onto the surface being probed; messing up measurements. AFM is a microscopy technique commonly used to probe surface properties at the nanoscale. 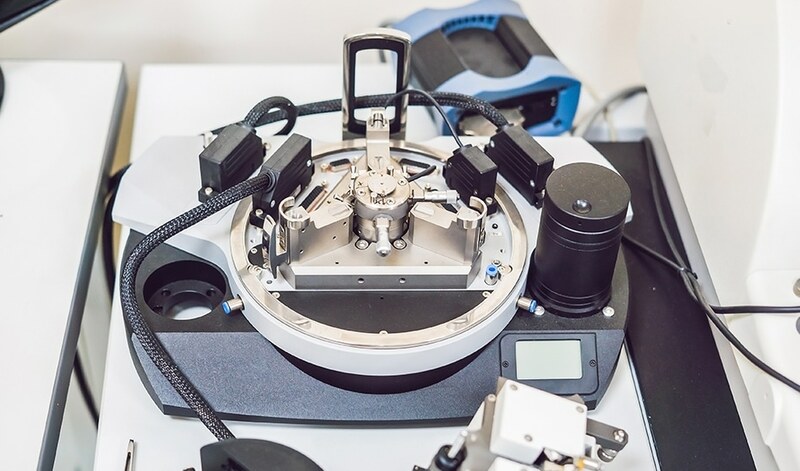 Over the years, it has gone beyond measuring simple surface topography to a sophisticated tool that explores a variety of interactions at the nanometer scale in different environments including liquids. It uses a small sharp tip, a few microns tall, positioned at the end of a cantilever. The tip is moved over the surface that bends the cantilever, which can, in turn, provide a variety of information like surface features and chemical interactions with atomic level resolution. In addition, it’s used as a lithographic tool to mechanically create patterns on soft surfaces or using chemical forces to deposit materials only in desired locations. Performing any study that requires chemical interactions between the tip and surface requires that the tip itself does not react with the surface. That’s why tips are made of hard, generally chemically inert materials like silicon dioxide and silicon nitride. For transport and storage, tips are packed in specially designed gel boxes, with the gel also being chemically inert generally. Although it is assumed that the tip does not change the properties of the surface or bulk, no studies have investigated this. So, Anton Ievlev of the Oak Ridge National Laboratory in Tennessee and colleagues decided to investigate what really happens at the tip-surface junction and on the material surface. To do this, they used a system that combines an AFM and another very sensitive surface chemical analysis technique called time-of-flight secondary ion mass spectrometry (ToF-SIMS) in the same vacuum chamber. The AFM operated in the contact mode, and the ToF-SIMS recorded the local chemical changes on the substrate surface. Three different types of tips were used: two silicon tips with different coatings and a metallic platinum-iridium tip. The substrates used were strontium titanate and lead zirconate titanate, whose surfaces were cleaned with an oxygen ion gun prior to scanning them with the probes. Then, ToF SIMS was used to detect any surface chemical changes. Upon analyzing the results, the researchers found that apart from the elements from the substrates, there was a large amount of silicon (Si+) on the scanned area, which is neither a part of the original surface nor of the tips. Upon further analysis of the silicon, they found that it is not the pure form, but comes from siloxane. When the tip was scanned back and forth on the surface along a line, although the silicon was concentrated along the line, it could also spread beyond the scanned area; about 15 microns when the tip was stationary in one spot for 2 hours. This contaminated area increased as the contact time increased. The presence of silicon on the surface was striking as even the non-silicon tip showed silicon on the surface. Chemical analysis of the tips revealed a high concentration of silicone oils on them. This thin layer of contamination on the tip surface is responsible for muddying the surface, which in turn can interfere with measurements. The authors say the tips pick up the oils from the polydimethyl siloxane (PDMS) gel in which they are packaged and stored. But fortunately, there is a way around this problem. Tests reported in the study showed that cleaning tips with low power ion irradiation could significantly decrease the deposition of the contaminant. The study was published in the journal Analytical Chemistry. 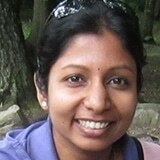 Lakshmi Supriya got her BSc in Industrial Chemistry from IIT Kharagpur (India) and a Ph.D. in Polymer Science and Engineering from Virginia Tech (USA).